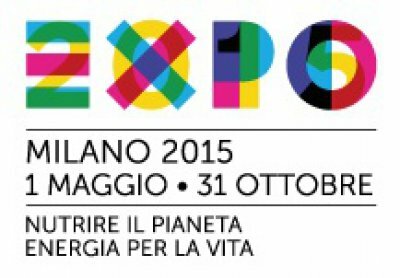 Conference organized jointly by CEETTAR and UNIMA on 15 September 2015 at the EXPO in Milan. 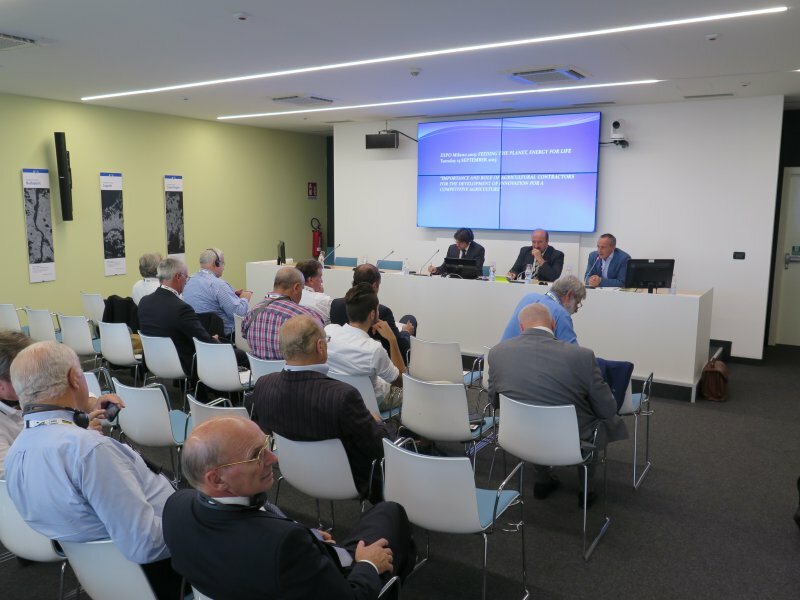 Held at the Pavilion of the European Union, this seminar brought together Italian entrepreneurs and from other European countries at the initiative of organizations representing entrepreneurs in Italy and Europe (UNIMA, CONFAI and CEETTAR). Expo Milano focusing on "Feeding the World / Energy for Life", the topic proposed by the CEETTAR and UNIMA "Importance and role of agricultural contractors for the development of innovation for a competitive agriculture" stressed the permanent reflection of the sector actors for a competitive and sustainable agriculture. In his introductory remarks, Silvano Ramadori, President of UNIMA, emphasized "the importance of entrepreneurs that contribute to the satisfaction of many societal needs including the placing on the market of the food, which is not one least! ". He thanked the European Commission for having made available its Pavilion to give the possibility to European entrepreneurs to exchange views. Taking the example of Italy, Roberto Guidotti, from the secretariat of UNIMA, presented the thorough investigation of the agricultural contractors in Italy conducted by the Institute NOMISMA in 2014 in collaboration with UNIMA and CONFAI; In this study, it is clear that the contractors are a key element in the competitiveness of Italian agriculture: more than 11,000 companies and 150,000 machinery make daily their contribution to the agricultural production of the country, carrying annually more than 60% of the works in nearly 534 000 different clients. Eric DRESIN, director of CEETTAR, presented the first European survey of agricultural, rural and forestry contractors: 150,000 companies active in the agriculture, forestry and maintenance of the territory, covering nearly 50% of the needs of their clients with most of the time the latest technology. Despite a wide variety of services, they nevertheless share many of the same problems (recognition, traffic rules, unfair competition, late payments, shortage of skilled workforce). During the debate, much attention was paid to problems related to delays in payments of services. Enzo Cattaneo of CONFAI recalled the need to restrict the payment schedule, which is a real problem in Italy. 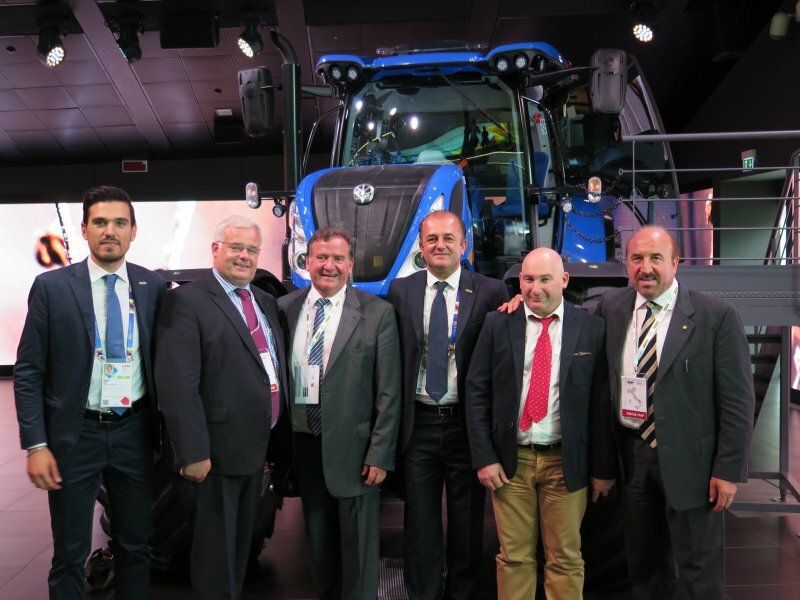 Sandro Cappellini, Coordinator of CONFAI, noted that late payments depend on the lack of liquidity of farmers, calling for a return to the system of support for agricultural prices. The representatives of European organizations, Klaus Pentzlin, vice president of CEETTAR and president of the German organization, and Jan Maris, secretary of CEETTAR and representing the Netherlands, defended the idea that the concept of quality of service, is becoming even more crucial with precision farming and big data, and must be accompanied by a parallel upgrading of the business relations between contractors and their clients. Leonardo Bolis, President of the Confai and Napias Gerard, President of CEETTAR and of the French association, agreed on the importance of these developments and the benefit it can bring to all parties. The discussion concluded with an overview of relations between organizations representing agricultural entrepreneurs and farmers organizations. The result is, as demonstrated by Michael Moroney fromf Ireland, that agricultural organizations are mired in small political games and tend to give less attention to solving practical problems affecting the primary sector. 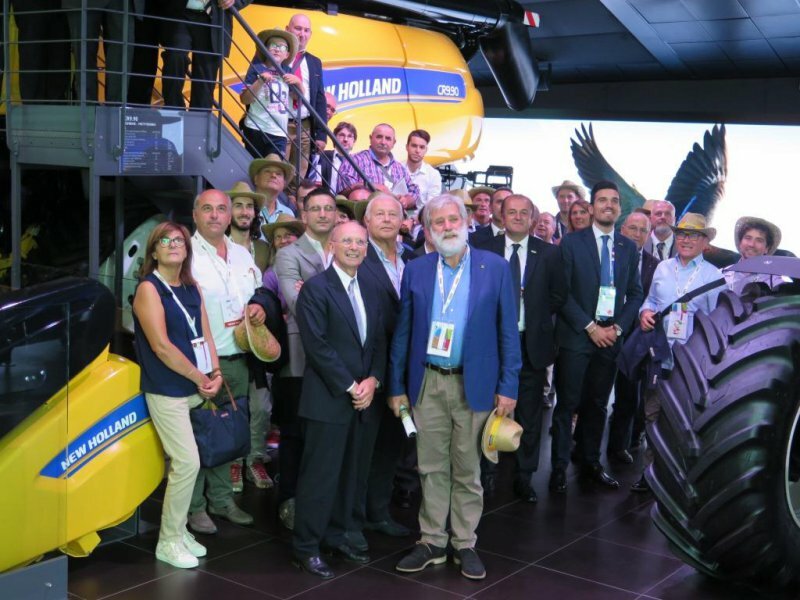 For its part, Paolo Andreone, marketing and communication Director of New Holland emphasized that throughout Europe "the agricultural contractors are the interface between farmers and the agricultural machinery industry. As such, they are aware of the particular needs of farmers in innovative techniques and technologies. This knowledge is significant added value for the sector when it comes particularly to test / develop new techniques or technologies. " At the end of the meeting, Klaus Pentzlin, thanking for the quality of debate, added that "contractors have always supported the commitment of the European Union in favor of an ambitious common agricultural policy and their innovative strength and competitiveness will allow implementation of the objectives in terms of agricultural production, method of production and rural development." Silvano Ramadori concluded "Tomorrow is shaped today. we must believe in the future of our agriculture and food processing, encourage innovation, encourage investment, trace the routes of sustainable and efficient development."